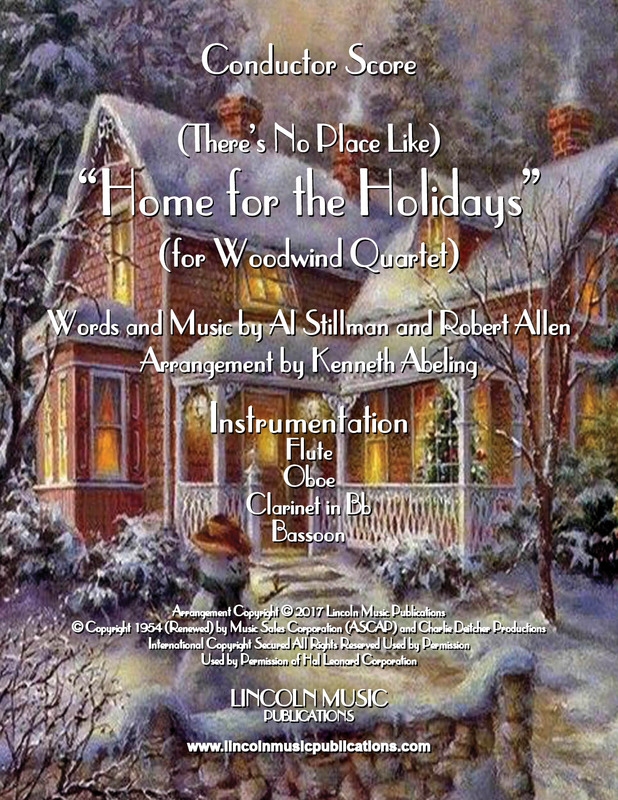 Search Results for "Home For The"
(There’s No Place Like) Home for the Holidays Words and Music by Al Stillman and Robert Allen arranged here for Clarinet Quartet. This is an advanced intermediate to easy advanced level “folksy jazz” arrangement of another Christmas time favorite. (There’s No Place Like) Home for the Holidays Words and Music by Al Stillman and Robert Allen arranged here for Saxophone Quartet. This is an advanced intermediate to easy advanced level “folksy jazz” arrangement of another Christmas time favorite.